A walking stick that is a fashion statement as much as a walking aid! 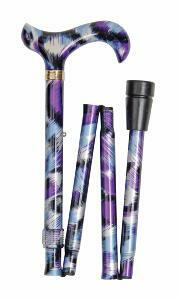 It features a glamorous abstract pattern of purple, black and pale blue brushstrokes on a white background. The shape of the handle offers excellent support to the hand and may be hooked over the arm when not in use. 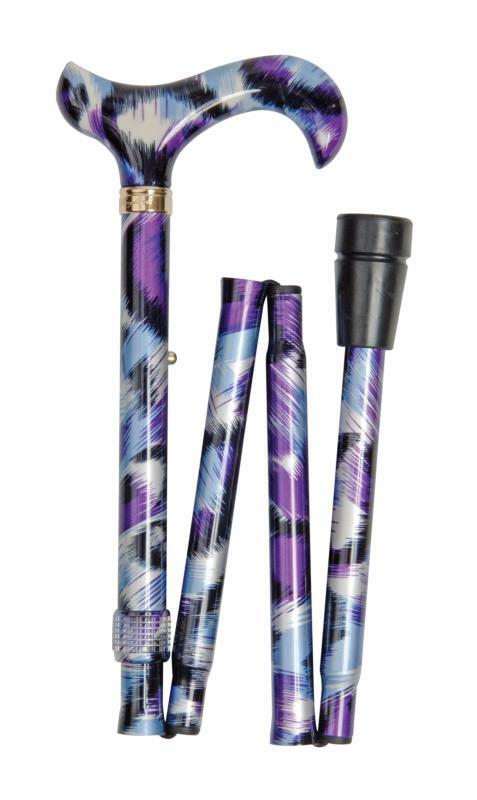 The strong and light aluminium shaft folds into four sections.